10 Best Computers for GoPro Editing You Should Check! If you are looking for the best computers for GoPro video and photo editing, whether it is a laptop or a desktop, then you are in the right place. In this article, I’m going to discuss everything there is that you have to know first before you buy one for yourself. Video editing involves rearranging and manipulating videos to create a more appealing result. As you may already know, this is not an easy task. As technology advances continually with more sophisticated cameras and video recorders, you sure would not want to be left behind with the more creative processes of post-production video editing. GoPro cameras can already give us great quality videos. However, if you want to further enhance or create short movies of your videos, then you need to have a powerful computer that can handle all these heavy files without freezing or slowing down. Not only is it difficult to understand some specifications but you may also find it taxing to compare each model to one another. Along with the top computer picks, I am also going to shed some light on the essential factors you have to look for when looking for one. Having video editing skills alone will not be enough if you want to produce a more high-end and a more sophisticated video. You also need to have the best computer that is built to cater to your video editing needs. Nowadays, video editors need hardware that will be able to provide more speed and power to efficiently run the software and accommodate the high-resolution GoPro videos. In this section, I am going to provide you the factors you might want to consider when choosing a computer for GoPro video editing. You have to know that all of your efforts of looking for the best computer will go in vain if you do not consider the processor. After all, it will be the one that will do the heavy lifting when you use your computer. Video editing software such as Sony Vegas, Final Cut Pro, and Adobe Premier will occupy your processor’s multiple cores and will require hyper-threading. Thus, choosing a computer that has hyper-threading abilities that comes with multiple core processors will be the best one to use for editing a GoPro video. If you are on a budget, there are computers with AMD processors. Though they are not as powerful as Intel, AMD-equipped computers provide the best bang for your buck. 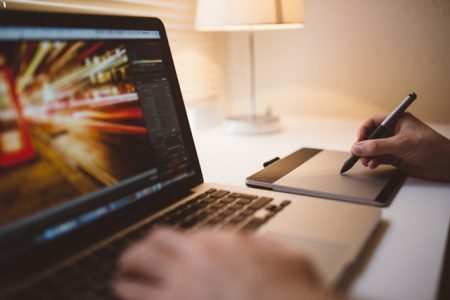 However, if you want to keep up with the ever-changing trends, the best thing that can you do is to upgrade to a better desktop or laptop from time to time. This 2018, you will not find a better alternative than a computer running on Intel i7 processor. Its range of hyper-threading ability is from 4-core, 6-core, and 8-core processors, which already makes it better for GoPro video editing. When choosing a computer with the best processor, you may opt to choose between low-end, mid-range, and high-end ones. Low-end processors include i7-6500U, i7-5500U, and I5-6300HQ, mid-range processors can be i7-6700HQ, i7-4710HQ, i7-4720HQ, and i7-5700HQ, and high-end ones include i7-6820HK, i7-4870HQ, and the i7-6700K. Obviously, if you prefer to have a smoother editing, these processors are significantly superior to their older versions. Graphics card requirements can alter depending on your editing software. Professional ones including the Sony Vegas and Adobe Premier will be able to take advantage of a new graphics card. This will speed up the rendering and it will be able to shorten the preview times that will result in a more concise workflow. In addition, Graphics Processing Unit-assisted rendering will not matter when you are working on a full high-definition footage. If you are only doing light video editing, you will not need a computer with dedicated graphics. This is because integrated graphics on newer processors will be powerful enough to edit a 4K video. Check the difference between integrated and dedicated. However, the latest software diligently use these dedicated graphics through hardware acceleration. With this, it would be best if you have this on your computer if you want the best results. If you already own a computer for gaming purposes, it can already be a good fit for GoPro video rendering usage as well. If you are open to exploring all possibilities for a topnotch graphics card, the AMD Radeon HD 7900M series is by far the superior for a video-editing computer. However, NVIDIA has proven to be the best one out there, always staying 5-steps ahead of its nearest competitor when it comes to its capacities. High-end graphics cards include the NVIDIA 980M, NVIDIA Quadro, and the NVIDIA FirePro. If you opt for cheaper ones, you may choose the NVIDIA 960M or an Integrated Graphics Card. You need to save all your edited GoPro videos, right? This is why you need a huge storage space, especially if you are already committed to serious editing. It is ideal that you have at least a few gigabytes to spare in your computer. If you don’t, there is always another option: moving your files into an external drive. While you can opt for a cheaper hard drive substitute, it is still recommended that you buy one that already comes with a good SSD that will accommodate your video editing tasks, better to pick an SSD which is faster than normal SATA hard drives. You should be aware that the 500 GB SATA HD, which is found on most computers, will never be huge enough to store your edited videos. As you already know, high definition videos take up a huge amount of space, so you would need at least a 2 TB internal SATA HD. You can also have your hard drive expanded with a 2 TB external. A 250 GB SSD is considered a low-end hard drive that will only accommodate the video editing software and a few videos. A 500 GB mid-range hard drive will be able to provide you faster video previews, fewer dropped frames and full quality playbacks. Lastly, high-end 500 GB SSD hard drive, will be able to offer you faster rending. In addition, it will allow you to work on multiple projects at a time. You do not want to restart your computer in the middle of video editing due to some unavoidable lagging, right? This is the reason why you should buy a computer that comes with a good amount of Random-Access Memory or RAM. Finding a RAM that is suitable for you will be dependent on how massively you use it. For high-definition videos, a computer running on an 8 GB to 12 GB RAM would be enough to do the task. However, an upgraded RAM would be suitable for 4K videos. You might not regret it if you buy yourself a computer that has an expanded RAM if your budget allows it. Uninterrupted video playback already goes a long way and this is all attainable with a very powerful RAM. An 8 GB RAM is only considered a low-end one, while a 12 GB RAM is already considered mid-range. If you want the best, you might want to consider choosing a 16 GB RAM or up. While being a minor requirement, the display is also considered an important factor to consider when choosing a video editing computer. A display that has accurate colors with sufficient resolution is preferred to edit and play videos properly. For example, using a computer with 4K-display is ideal for editing and playing GoPro videos. That being said, you would not be comfortable editing these videos using a standard 1080p display, correct? If you are not yet familiar with these facts, a 4K resolution, 3840 x 2160, is almost twice the resolution of a full high definition. While having a 4K display is not necessary for everyone, it sure will have an upper hand when it comes to editing GoPro videos. If you are looking for a desktop or laptop that has the best screen resolution, here are some of the requirements: a full high definition resolution, IPS or Wide-Angle Panel, at least average brightness of 300 cd, good contrast of at least 800:1, a satisfactory color space of 80% or up, a matte finish, and a 4K screen resolution. Here’s the minimum system requirements for 4K editing and playback. The monitor can also be considered as a factor when choosing a computer with a high-resolution display. However, you must choose a monitor that will be compatible with your graphics card. Nowadays, monitors start at 21 inches but can go up to 27 inches diagonally. You might think that it will be too big and unnecessary but when working on a high definition video project, it is not only practical but is a requirement. Now that you have learned what to look for when choosing your computer, I will now be discussing the top 11 recommendations for the best ones that are available right now. A summary of their best features will be provided, along with a list of pros and cons, which will help in making a more informed decision. I sure hope that you will use these reviews in order to choose the best one for your GoPro video editing tasks. If you travel a lot, you might opt to buy a laptop instead of a desktop. Laptops offer more flexibility and mobility, which a desktop cannot. When it comes to video editing, a lot of professionals use an Apple MacBook. The brand’s latest release, the Apple MacBook Pro with TouchBar, works very well for editing GoPro videos, I use mine with Final Cut Pro software. With the touchbar, you can quickly scan or scrub through your video timeline without using a mouse. This is already an advantage if you want the job done quickly. Aside from the latest addition, which is the touch bar, the MacBook Pro also comes with a lot of captivating features as well. It has a 15.4-inch retina display, which is already considered as one of the best displays Apple currently produces. The display on the MacBook Pro can be as bright as 500 nits, which is the brightest panel that has been made for laptop computers. This laptop also has 25% more colors that allow superior color accuracy and brightness. For its hardware specifications, this laptop is equipped with Intel i7 2.8 GHz Quad Core Kaby Lake processor that is paired with 16 GB of RAM and an AMD Radeon Pro 555 graphics card. These specs are considered good for editing GoPro videos. The ports include a USB Type-C and a 3.55 mm headphone jack. While the Apple MacBook Pro already showcases great specs, what it is lacking is the storage space. The laptop only has 256 GB of SSD, which might be a little low and may be a potential problem if you use large video files and video editing software. However, if money is not an issue, you may opt to choose other models that have more storage space such as 512 GB, 1 TB, and 2 TB. The Apple MacBook Pro runs on Intel Core i7 2.8 GHz Quad Core Kaby Lake Processor, which will allow uninterrupted and flawless video editing. It also has a big memory of 16 GB. This laptop runs on AMD Radeon pro 555 GPU that provides better graphics. It has a 15.4-inch retina display with 2880 x 1800 resolution, which is ideal for GoPro video editing. It also already runs on the new software update, macOS Sierra. The laptop has 10 hours of battery life. It only weighs 4 pounds, which makes it easy to carry around. 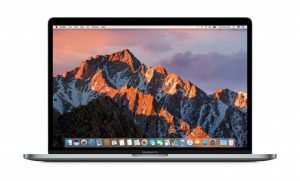 The cheapest Apple MacBook Pro only has 256 GB of storage. 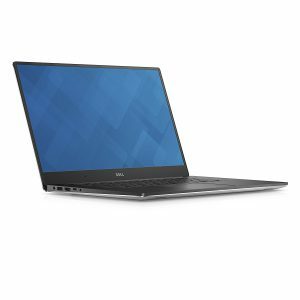 The Dell Precision 5510 features the brand’s space-saving InfinityEdge technology, which trims down the chassis size by shrinking the display’s bezel to millimeters. It is a lightweight video editing laptop, weighing only 4 pounds and is equipped with the most powerful 7th generation Intel Core i7-6820HQ Quad Core processor. To add, it also comes with the latest NVIDIA Quadro M1000W with 2GB GDDR5 graphics card. 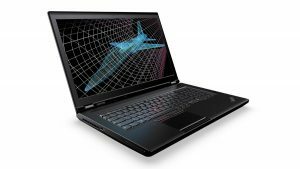 These specifications make the Dell Precision 5510 one of the best video editing laptops, as well as ideal for people who travel a lot. This laptop also comes with a 8 GB RAM and a 512 GB SSD storage space, which allows you to edit and save videos faster while it takes only a significant load off of the graphics card and the processor. The Dell Precision 5510 laptop has Windows 10 Pro 64-bit as its operating system and has a battery life of 7 hours. Its monitor is a 15.6-inch 4K Ultra HD display with InfinityEdge touch display. It is lightweight, weighing only 4 pounds, which makes it easy to transport. It has a battery life of 7 hours. It runs on Intel Core i7-6820HQ 2.7 GHz Quad Core Processor, which is ideal for video editing. It also has RAM of 8 GB, which can be expandable for up to 32 GB. It has storage space of 512 GB SSD. Graphics card is NVIDIA QUADRO M1000W 2GB GDDR5, which ensures smooth video playing and editing. It already runs in Windows 10 Pro 64-bit OS, which is user-friendly. The laptop having only 512 GB can also be viewed as a disadvantage, especially if you work on large video files and software. 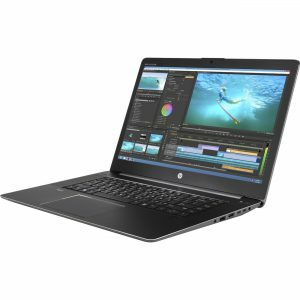 Another great laptop on this list is the HP ZBook Studio G4, which runs on Intel 2.8 GHz Intel Core i7-7700HQ Quad-Core with 32GB of DDR4 RAM. This combination of processor and RAM is a killer and will deliver incredible results. This HP laptop features a 4GB NVIDIA Quadro M1200 Graphics Card which will help get a more crisp video playback and less lag while editing. Its 15.6-inch non-touch display can also accommodate GoPro videos, which can deliver more muted colors and surprisingly decent contrast and brightness levels. Other specifications include an HP 512 GB SSD, which can be upgraded into a 4 TB SSD. It should be noted, however, that you cannot use a 2.5-inch HDD but you always add a secondary M.2 SDD. The laptop features a combo audio port, two Thunderbolt 3 ports, a v1.4 HDMI port, 3 USB 3.0 ports, an SD card reader and an Ethernet port. The brand also can provide an optional dock, which means that you are still going to need to connect the laptop to a power outlet. It runs on Windows 10 Pro, which can be downgraded to Windows 7 Pro for a user-friendlier environment. The only downside of having an HP ZBook Studio G3 is that the battery only runs for a short 2 hours and 21 minutes. In addition, there are no options for you to replace it with a more powerful battery. This would ultimately mean that you might need to plug the laptop into your power outlet after every few hours, which would seem like a waste of electricity. It uses an NVIDIA Quadro M1200M graphics card, which is ideal for GoPro video editing. It has a 15.6-inch non-touch display that allows efficient GoPro video playing and editing, displaying more muted colors, as well as decent brightness and contrast levels. It comes with a 512 GB SSD, upgradeable to 4 TB SSD. It has 32GB of RAM. The laptop already runs on Windows 10. However, you can still downgrade the operating system to Windows 7 Pro if you want to. The laptop’s battery only runs for 2 hours and 21 minutes. To add, no other options are available to upgrade to a more powerful battery. A regular laptop will be perfectly fine for doing work or editing an image. However, if you will be using a laptop for professional 3D modeling software, perform complex engineering jobs, or edit and play high definition 4K videos, the Lenovo ThinkPad P70 might be your best choice. With its 17.3-inch display, you sure will have the most efficient laptop to edit your GoPro videos with. It only weighs 7.6 pounds and it already comes with Intel Xeon processor. It is also equipped with NVIDIA Quadro professional graphics card, a 64 GB-upgradeable 16 GB RAM, and 512 GB SSD. It also has Windows 7 Professional operating system by default, so you would not have to worry anymore about the performance issues of the newly released Windows 10. The Lenovo ThinkPad P70 features an outstanding keyboard and wide selection of ports you can use for connectivity. Interestingly, the brand is positioning this product to be the ultimate workstation that you can bring anywhere without missing the benefits of having a desktop. Much like the previous discussed HP ZBook Studio G3, the Lenovo ThinkPad P70 is designed to pass MIL-STD 810G testing. It is also considered as one of the more upgradeable laptops, with its four memory modules. Despite the laptop having powerful components, the Lenovo ThinkPad P70 stayed cool during heat tests. In addition, considering the laptop’s power-hungry components, its battery life is a bit longer at 5 hours and 53 minutes. With this, you can have more time editing and playing your GoPro videos. The Lenovo ThinkPad P70 has a wide display, measured at 17.3 inches. It is equipped with Intel Xeon processor, which is great for editing and playing 4K high definition videos. It also features an accurate color display with its NVIDIA Quadro Professional graphics card. Getting used to the operating system is easy with the installed Windows 7 Professional OS. Its memory of 16 GB can be upgradeable for up to 64 GB. The hard drive is only at 512 GB. However, options are available in case you want to upgrade. While battery life is better than other models, 5 hours and 53 minutes are not long enough for you to get the job done. 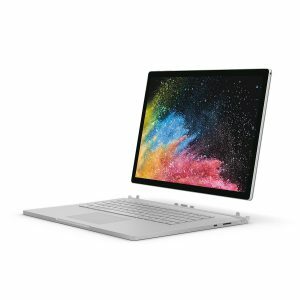 It is apparent that Microsoft put a lot of effort in increasing the Surface Book 2’s screen technology and overall profile. It is a 15-inch laptop with a detachable screen that is actually very light, which would be an advantage especially if you travel a lot. In addition, it is also considered as one of the best computers for GoPro video editing. The Microsoft Surface Book 2 comes with a powerful Intel Core i7 Processor and the NVIDIA GTX 1060 graphics card. It also has a vibrant 3240 x 2160 display. What’s great about this laptop is that it can hold the charge for up to 17 hours, which would ultimately mean that you would not have to worry about losing charge even if you are working on video editing for half a day. The graphics card of the Microsoft Surface Book 2 is more than enough to accommodate the latest games at 1080p resolution, let alone 4K video editing. While gaming is not the reason for you to purchase this laptop, you will already be provided with benefits such as the split design that separates the processor and graphics card. With this feature, your laptop will keep cool even if you work on video editing for long hours. The Microsoft Surface Book 2 promises up to 17 hours of battery life with video playback. With this very useful feature, you get longer hours of working on editing your GoPro videos, as well as other tasks. While it can be used with a pen, you should also be informed that you have to buy it separately. The Microsoft Surface Book 2 features a detachable screen. It has a longer battery life compared to other models. You would not have to worry about losing charge even if you play and edit 4K videos for half a day. It has a 15-inch screen, which is ideal for playing GoPro high definition videos. It is also equipped with Intel Core i7-8650U processor. The laptop comes with the NVIDIA GTX 1060 graphics card that ensures accurate colors, and flexible contrast and brightness levels. The laptop does not come with a Thunderbolt 3 port. If you like staying at home to edit your GoPro videos, you might want to consider buying a desktop instead of a laptop. It is a known fact that desktops can offer a lot more powerful features than laptops. For instance, you have the option to buy one that comes with a huge monitor, which will be beneficial especially for 4K video editing. The Apple iMac is one of the best desktops to edit your GoPro videos, with its 27-inch retina display that comes with IPS technology. With the desktop’s screen alone, you will surely enjoy editing and playing 4K videos. In addition, it features a 5120 x 2880 resolution that has the capability to support millions of colors. It is equipped with 3.3 GHz Quad Core Intel Core i5 Processor, which can also be upgraded to 3.7 GHz. It has two 4 GB RAM that is also upgradeable for up to 16 GB or 32 GB. Its storage is also ideal for video editing, with its 1 TB hard drive. You should also be informed that if the 1 TB is not enough for you, you could always upgrade it for up to 3 TB. When it comes to graphics, you will be amazed by its AMD Radeon R9 M290 graphics card that comes with 2 GB of GDDR5 memory. For connectivity, the desktop features a headphone port, an SDXC card reader, 4 USB 3 ports, and 2 Thunderbolt 2 ports. It runs on OS X Yosemite, which is one of the most recent operating systems for iMac. You should also be aware that all Apple computers can be upgradeable to the latest software, which the High Sierra. The package also comes with the iMac, an Apple Wireless Keyboard, an Apple Magic Mouse, and a power cord. With these inclusions, you will be able to work efficiently on editing your GoPro videos, as they are all designed for ease of use and comfort. 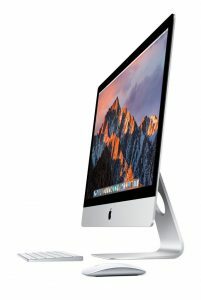 The Apple iMac comes with a 27-inch retina display, which will be perfect for editing and playing high definition videos. It also features a 5120 x 2880 screen resolution that will be able to support millions of colors. It is equipped with 3.3 GHz Intel Core i5 Processor. It features an 8 GB RAM, upgradeable up to 32 GB. Its hard drive is also ideal for GoPro enthusiasts with its 1 TB default storage space. It comes with an AMD Radeon R9 M290 graphics card that enhances the desktop’s overall performance. It runs on OS X Yosemite, upgradeable to the latest operating system that is High Sierra. With the inclusion of other hardware such as the wireless keyboard, mouse and power cord, you will have a more productive time editing your 4K videos. The Apple iMac has a poor audio performance. The Apple Mac Pro is a very impressive computer, with its state of the art and sleek body. It is fast but it might be very expensive for some buyers. It has a professional software, which uses multiple processing cores, which is ideal for photographers, videographers, designers, and the like. If you are taking in some serious GoPro video editing, you might benefit a whole lot from an Apple Mac Pro. You should be aware that the Apple Mac Pro comes in two versions. The cheaper one features 3.7 GHz Quad Core Intel Xeon E5 Processor, a 12 GB 1866 MHz DDR3 ECC memory, a dual 2 GB AMD FirePro D300 graphics card, and a 256 GB flash storage. The more expensive one has 3.5 GHz 6-Core Intel Xeon E5 Processor, a 16 GB 1866 MHz DDR3 ECC memory, a dual 3 GB AMD FirePro D500 graphics card, and a 256 GB flash storage. However, the brand is offering the following upgrades: 3.0 GHz 8-Core Processor or 2.7 GHz 12-Core Processor, 16 GB, 32 GB, and 64 GB of RAM, 512 GB to 1 TB of flash storage, and dual 6 GB AMD FirePro D700 graphics card. For connectivity, the Apple Mac Pro already has four USB 3 ports, 6 Thunderbolt 2 ports, a dual Gigabit Ethernet port, and one HDMI port. This desktop is specifically designed with multi-core processors, which will be an advantage for 3D renderers, audio editors, and high-end video editors. The Apple Mac Pro features a 3.7 GHz Quad Core Intel Xeon E5 Processor, which ensures that you will be able to do a lot of video playing and editing without interruptions. It also features a 12 GB RAM, upgradeable for up to 64 GB. It comes with a dual 2 GB AMD FirePro D300 graphics card, which is ideal for video editors. While the storage is only 256 GB, it can, however, be upgraded for up to 1 TB flash storage. 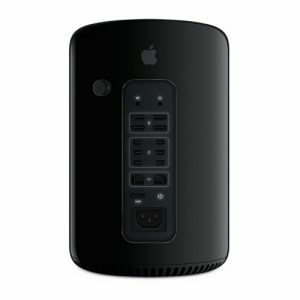 You will no longer have to worry about connectivity, as the Apple Mac Pro features several ports for convenience and easy file transfer. This might be the most expensive computer on this list. The flash storage is too small to use for video editing. If you have the budget, you might as well upgrade the storage to at least 1 GB. 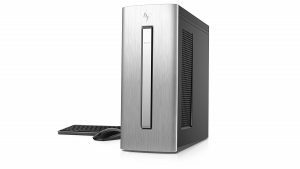 If you are not a fan of Apple computers, you might want to consider the HP ENVY Desktop, as it runs on Windows operating system. As advertised, it is a computer that already comes with a photo and video editing software and an expandable solid-state drive. Indeed, this computer is one of the best choices for its stability and speed that will get the most complex projects done. The HP ENVY Desktop is one of the best computers to edit your videos because of its processor. It is equipped with Intel i7-7700 Quad Core 3.6GHz Processor, which allows intensive program viewing, video streaming, gaming, as well as video playback and editing. This desktop also produces great graphics with its Nvidia GeForce GTX 1060 card. Another great feature of this desktop computer is that it comes with an HD band and Olufsen audio. It also comes with a DVD/CD drive, which will be able to read and write many formats. When it comes to memory, the desktop sports a 16 GB of RAM, which is more than enough to keep your computer running smoothly and without interruptions. Your computer will never slow down, whether you are composing a simple email or multitasking between multiple programs, or even editing a 4K video. What makes this desktop one of the best is that it features a 1 TB SATA and 256GB SSD hard drives, beating almost all of the computers in this review. This 1 TB hard drive will be enough to store a lot of photos, music, videos, documents, and other programs. With regards to connectivity, the HP Envy Desktop features 2 HDMI ports, which you can connect to HD TVs or even up to 3 monitors. You will also be able to connect accessories with its 4 USB 3 ports that also allows quick data transfers. The HP ENVY Desktop has one of the most powerful processors, which is great especially for video editors. This feature alone allows flexible playback, as well as editing HD GoPro videos. It is equipped with Intel HD graphics card that ensures uninterrupted video playback. The desktop comes with a 16GB RAM that will keep your computer running as smooth as possible. This is also an advantage for editors of 4K videos. It features a 1 TB SATA and 256GB SSD hard drives, which is more than enough to store all your edits, as well as other photos, videos, and documents. I don’t really see any cons. Another great offering of HP, as well as one of the best desktops for GoPro video editing, is the HP Omen 870 Desktop. It features a monitor that is customizable in three modes, color, static, and CPU temp. It is also crafted with a glossy black enclosure that incorporates a 3.5mm jack and a USB Type C port. On the insides, the HP Omen 870 Desktop runs on Intel i7-7700K Processor, which is the benchmark for gamers. This is also an advantage for video editors, as the processor ensures speed and uninterrupted work. It is also equipped with the NVIDIA GeForce GTX 1060 3 GB graphics card, which is ideal for gaming, as well as video playback and editing. It has a memory of 16 GB DDR4-2133 SDRAM and a storage of 1TB 7200 RPM SATA and 256GB SATA SSD. It also runs on Windows 10 Home 64-bit, which might be a little inconvenient for video editors. You can ask the manufacturer if you want the operating system to be downgraded to Windows 7 for a user-friendlier feel. You also would not have to worry about connectivity, as it is equipped with 6 USB 2.0 ports, and 4 USB 3.0 ports. The audio is also one the best as well, with the DTS Surround Sound. 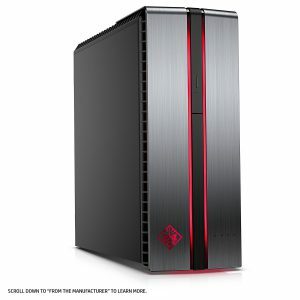 The HP Omen 870 Desktop runs on Intel i7-7700K Processor, which is top of the line, especially for gamers and videographers. It is also equipped with NVIDIA GeForce GTX 1060 3 GB that ensures uninterrupted video editing. It has 16 GB RAM, which is also ideal for complex jobs. It has a storage of 1TB SATA and 256Gb SSD, which maybe is more than enough to store all your edited GoPro videos, saved clips, photos, and other documents. The desktop is also equipped with 6 USB 2 ports and 4 USB 3 ports. Audio is also great with its DTS Surround Sound. With this feature, you will be able to fully feel the cinematic aesthetic of your GoPro videos. This desktop is already equipped with the best specs, which might be the reason why it has the potential to become overkill for some users. One of the earliest computers to ever incorporate both the NVIDIA Pascal graphics card and the Kaby Lake Processors is the CyberPower PC BattleBox. It is considered a gaming desktop, which would mean that it will also work perfectly for any 4K video editing. The clean and amazing design is often overlooked but you will appreciate it once you get a good view of the insides. The frame stands 18.3 x 18.3 by 18.5 inches that also comes with tempered glass on the sides. It has an elegant design that does not have too much bling. The top, back, and upper-front displays are perforated for airflow while the fan mounted on top and the LED-lit front side is showed through the mesh. The CyberPower PC BattleBox features a liquid CPU cooler that stands vertically, venting out the upper front and top for additional ventilation. You also do not have to worry about floor spills at the bottom, as the case is raised around 2 inches from the ground. Did you know that you could also change the LED color zones? While there is a minimal learning curve for beginners, you can fully utilize this feature once you have familiarized yourself with it. If you want to change the color for the first time, you just have to hold the light button until it’s in Breathe mode. Repeat that step and you will be able to select your desired color. Saving your newly edited GoPro videos into an external hard drive will be hassle-free because of the presence of 2 USB 2.0 ports and 4 USB 3.1 ports. These features ensure fast data transfers, as well as convenient connectivity. It also provides an RJ-45 Network Ethernet port and an Audio 7.1 channel. In addition, ports such as 3 DisplayPort, an HDMI port, and a DVI, which allows you to view 4K videos on an external monitor, will all be able to support your graphics card. A 240GB SSD, along with a 3TB 7200rpm hard drive you will use for storing GoPro videos are neatly positioned inside the cage. To add, the cables are neatly done without clutter. Every purchase of the CyberPower PC BattleBox comes with a keyboard and a mouse. 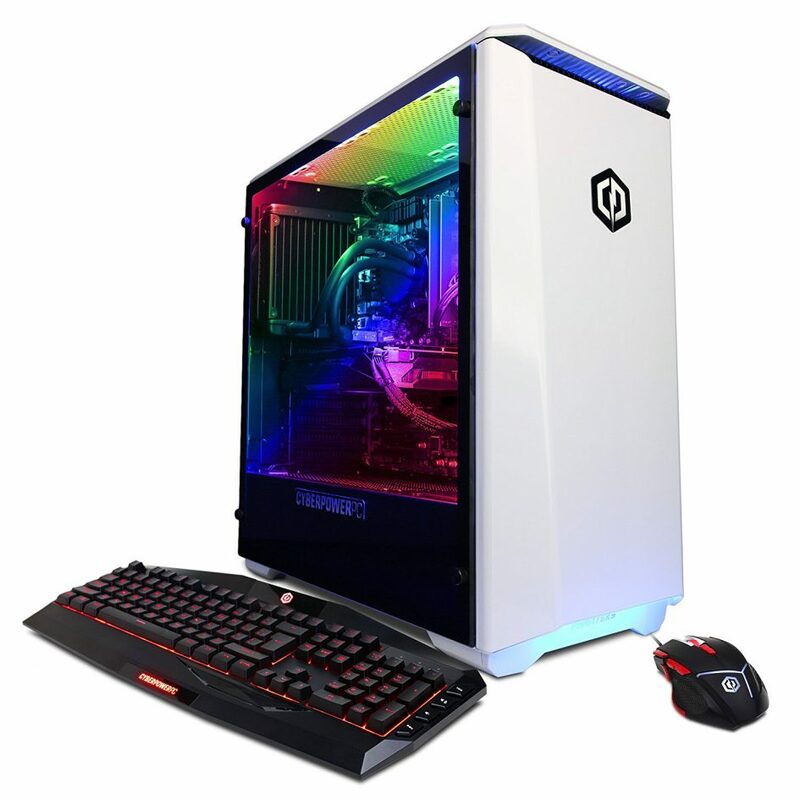 Some of the best features of this gaming and video editing-compatible desktop are the incorporation of the seventh-gen Intel Core i7-7700K processor, the 11GB NVIDIA GeForce GTX 1080 Ti graphics card, and the 32GB DDR4 RAM. Generally, it might really give you the best value for your money. With these features, it will be able to handle all kinds of footages. The presence of liquid cooling allows ventilation even when you are working on a project for several hours. The CyberPower PC BattleBox has one of the most elegant appearances compared to the other models presented in this review. The computer features a built-in disk drive, tucked away neatly and out of sight. With the computer’s Intel Core i7-7700K Processor, it will be able to handle all kinds of videos, including GoPro videos. It also has an 11 GB NVIDIA GeForce GTX 1080 Ti graphics card, which you can utilize while playing and editing 4K videos. Unlike the other models, the CyberPower PC BattleBox features a 32 GB DDR4 RAM, which is ideal for gaming, as well as for 4K video editing. Given all the features, you must expect that this computer does not go cheap. However, if you really want a computer that has the best features and you have the budget, you might want to consider this computer. Choosing the best computer for GoPro video editing can be a little tricky, especially if you don’t know what you’re looking for. Included in this article are the top features you should consider if you want to buy a computer that will be able to handle all your tasks. First, you must have a powerful processor which allows uninterrupted video editing and playback. Another thing you have to consider is the graphics card that will speed up the playback and will be able to provide you a concise workflow. Next is a huge storage space, which you obviously need for you to store all your video edits. You also need to consider buying a computer that has a lot of memory or RAM, allowing you to work continuously on video edits without interruption. Lastly, while a high-resolution display is a minor requirement, it would bring out the best of your 4K videos through color accuracy. With the above reviews, I sure hope that you have learned a lot about each one of them so you can make an informed decision before you buy one for yourself. Each product’s pros and cons have also been weighed for you to determine which offers you more value for the price you pay.